Hailing from a small Illinois town, Jessica Henson grew up with the Midwestern values of hard work, integrity and keeping your word. These deeply ingrained ideals inform her real estate work to this day. “My parents raised me to believe there are no shortcuts, that hard work and honesty mean everything,” she says. After a long and successful award-winning acting and film production career, Jessica turned her attention to real estate and credits her theater experience with her ability to work closely with others--often under tight deadlines and incredible stress--toward a common goal. With a quick wit and amiable charm, Jessica loves helping New Yorkers find their perfect home. ”Nothing is more rewarding to me than helping someone find a home they love. City living isn’t easy, and having a peaceful home to escape the frenetic city pace is priceless for a person’s state of mind.” Jessica’s tenacity and client-focused approach have recently placed her in the top 2% of NRT brokers nationwide. 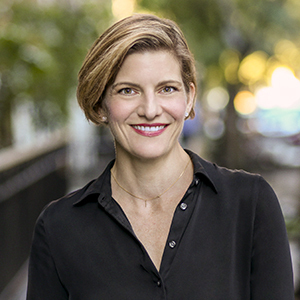 A graduate of Northwestern University, Jessica currently resides in Cobble Hill where she is active in her children’s public schools (she most recently served as PTA Co-President for PS 29) and known in charitable circles for her persuasive fundraising skills. In her free time, she loves to be surrounded by the great outdoors, whether that includes hiking and skiing, or watching her husband and kids surf from her relaxed perch under an umbrella.